You’ll find a decent amount of hotels in Turin. Turin hotels are aimed towards business travelers but there are some good deals out there. 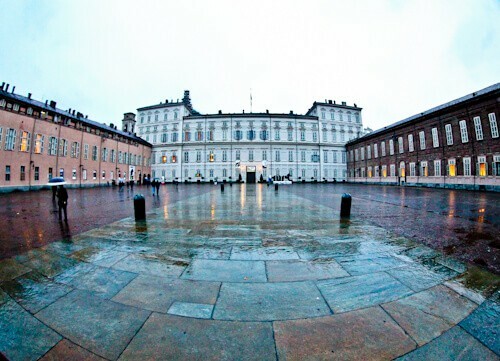 The Royal Palace of Turin is located in Piazza Castello. It’s part of the Residences of the Royal House of Savoy, a UNESCO site. It was built in the 16th century as a court. In the 17th century it was modernized to be of Baroque style architecture. It became the grand Ducal Palace for the reigning dukes and duchesses of the Duchy of Savoy. Duchy of Savoy was a country in Europe from 1416 to 1860. 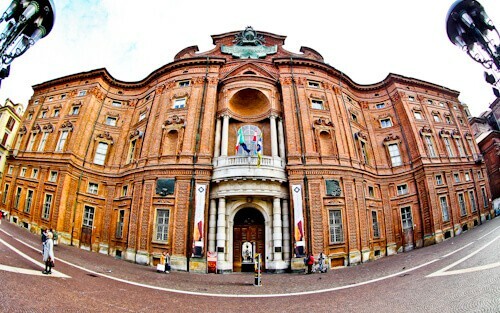 The Royal Palace of Turin is now a museum about the history of Savoy. Located in the Piazza Castello is the Palazzo Madama. It’s right next to the Royal Palace of Turin. The building dates back to the time of the Roman Empire. During the Roman Empire it was the main gate to the city. It remained the gate of the city after the fall of the empire. In the 14th century a castle was built here. The rear of the building still resembles this castle. In the 17th century a duke made it their personal residence. This is why it has such a royal facade. With a royal facade and a rear which resembles a castle, this truly is a unique building. As part of the Residences of the Royal House of Savoy, it’s a UNESCO site. Today it houses the Civic Museum of Ancient Art. Palazzo Carignano was named after the Princes of Carignano. These were relatives of the House of Savoy. It was built in a Baroque architecture style in the 17th century (above). An interesting fact about the Palazzo Carignano is that the first king of Italy was born here in 1820. As part of the Residences of the Royal House of Savoy, it’s one of the five UNESCO sites in Turin city. Today it’s the home of the museum of the Risorgimento. 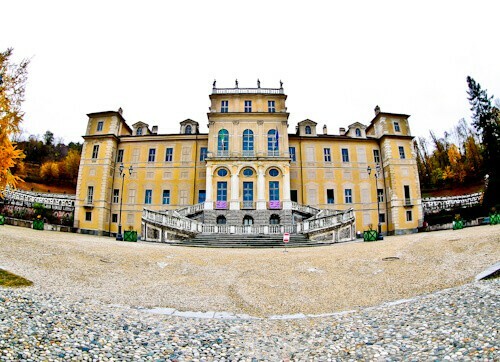 The Castle of Valentino is located in Valentino park on the banks of the river Po. It’s a French style castle in which a French princess lived. It’s part of the Residences of the Royal House of Savoy which makes it a UNESCO site. This is because a duke bought the castle. Today it is part of the university of Turin. A short walk uphill from the river Po is the Villa della Regina. This was designed by an Italian soldier for the house of Savoy in 1615. It was designed and built as a villa and vineyard a short distance from the city. Many generations of royalty have lived here throughout the years. Most importantly Anne Marie d’Orléans who was the wife of the King of Sicily. Regina is Italian for Queen and the villa is named ‘Villa della Regina’ in her honor. As part of the Residences of the Royal House of Savoy it’s a UNESCO site. Today it’s open for viewing to fund it maintenance. It’s free to walk around the grounds. There is a wonderful view of Turin from here. Turin Cathedral is often referred to as the Duomo. It’s located alongside the Royal Palace. The cathedral was built during the 15th century. In the 17th century the chapel of the shroud was built next to it. This Baroque chapel houses the shroud of Turin. The shroud of Turin is believed to be cloth that Jesus of Nazareth was buried in. Although not clear to the naked eye, an image of the face of Jesus is marked on the cloth. If you photograph the cloth then edit the photograph, you can clearly see his face. Unfortunately the shroud is rarely on display. If you’re lucky enough to see it on display, it’s unlikely you’ll be permitted to photograph it. The most visited museum in Turin is the Egyptian Museum. It houses the largest collection of Egyptian artifacts outside of Egypt. It’s the only museum in the world that is solely dedicated to Egyptian culture outside of Egypt. As you would expect, you’ll find ancient sarcophagi, mummies and tombs inside. The Mole Antonelliana dominates the Turin skyline. It’s possible to ascend it for a view of the city. Housed in the Mole Antonelliana is the cinema museum. You’ll learn everything you need to know about Italian cinema here. There is memorabilia and props from historic movies. Did you ever wonder what happens to the old film technology as new technology is released? A lot of the historic filming equipment is on display here. One of the most famous Italian actresses is Sophia Loren. She famously visited the Kempinski Palace Portoroz in Slovenia and has a restaurant named after her. Via Roma is one of the main avenues of the city of Turin. You’ll find many high end stores along this avenue. It has been described as the Oxford Street of Turin. In the center of via Roma is the Piazza San Carlo. On this main square you’ll see many points of interest. 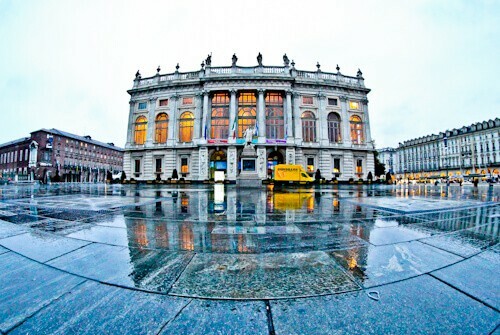 It’s a 16th-17th century plaza and is surrounded by buildings of Baroque architecture. 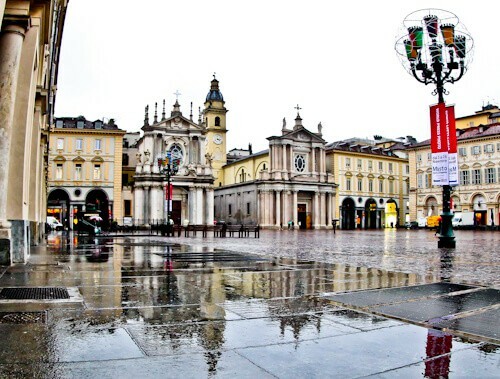 If it’s raining when you visit Turin, you’ll be able to make several amazing reflection photos at Piazza San Carlo and along via Roma. The easiest way to get a city view of Turin is from Monte dei Cappuccini. This is a Renaissance style church on a small hill. The church is not as impressive as the city view (above). The mountains you can see from Turin are the Italian Alps. If you visit on a clear day you’ll see the Italian Alps. This makes a visit to Monte dei Cappuccini a must for everyone visiting the Turin. If you wish to go higher you may visit the Basilica of Superga. It’s a 20 minute uphill walk from the Monte dei Cappuccini. The Basilica of Superga is a Renaissance / Baroque style church. Many members of the House of Savoy and Italian royal family were buried here. A tram passing through Via Po in Turin, Italy. You will walk on Via Po as it’s connects Piazza Castello and the River Po. You’ll find lots of bars, restaurants and shops. The traditional trams of Turin are of orange color. Around Via Po and the Piazza Castello you’ll see lots of these orange trams. Colorful tram photos perform well on Instagram. Trams combined with the architecture of Via Po as a backdrop are guaranteed to be popular photos. 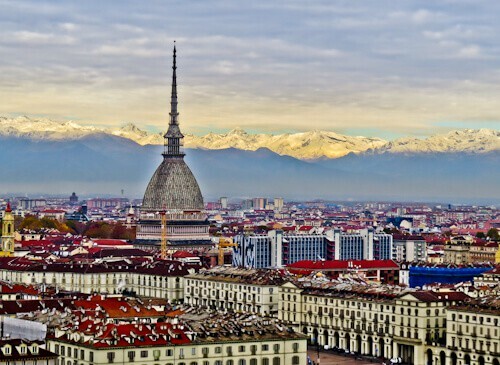 Turin is home to two famous football teams, Juventus and Torino. If you’re lucky, one of these teams will be playing at home when you visit Turin. The home stadium of Torino is the Stadio Olimpico. Unfortunately there are no Stadio Olimpico stadium tours available. The only way to visit the Stadio Olimpico is if Torino are playing at home. 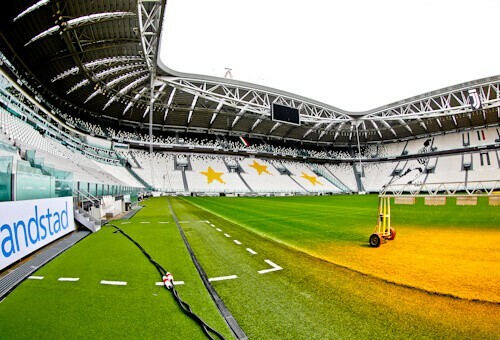 The home of Juventus, the Allianz Stadium has many stadium tours each day. Read about the Allianz stadium tour experience. Bicerin is a drink native to Turin. The word Bicerin translates into English as ‘small glass’. In the small glass is a mixture of espresso, chocolate and whole milk. When drinking, you do not stir, you drink it as it’s served. 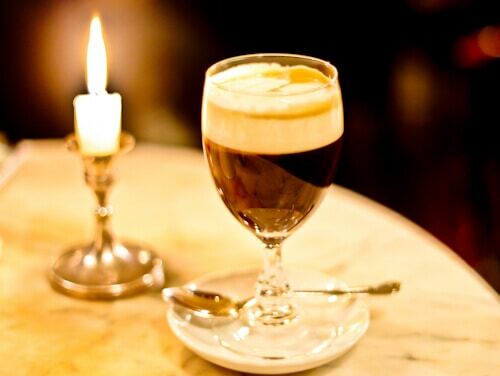 The delicious Bicerin pictured above was enjoyed in Caffè al Bicerin. This cafe has been serving Bicerin since the 18th century. As well as enjoying the delicious drink, you’ll enjoy historic surroundings. 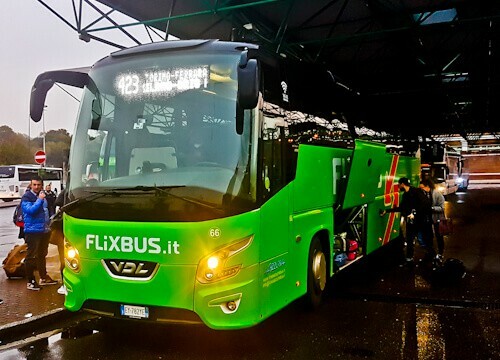 There are regular Flixbus services between Turin and Milan. Often this service costs as little as €5. The journey time between the 2 cities is less than 2 hours. Turin has 3 bus stops so make sure you choose the stop closest to you. The stop closest to the center is Vittorio Emanuele. I had no idea that Regina is Italian for “queen”! Awesome fact to know. Especially because my childhood best friend’s mom is named Regina. 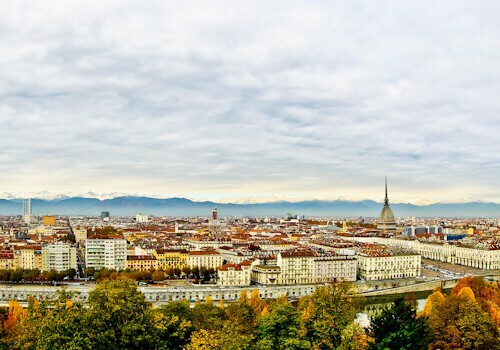 I really loved your picture of the city view of Turin from Monte dei Cappuccini! What a beautiful skyline! Had never heard of Turin before. It is lovely and there’s so much to do there. All the places of visit are so huge and architecturally beautiful. I specifically am impressed with Palazzo Madama. A bonus for me is that I love Baroque architecture! 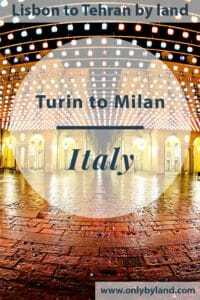 I have always wanted to visit both Turin and Milan! I love the idea of traveling via road because I bet the ride is so scenic. The Egyptian Museum sounds so interesting – that is one I’d love to check out. I don’t see many Egyptian museums around the world! Egyptian museum sounds very interesting to me. I didn’t know something like this existed in Europe. The history of Castle of Valentino is so intriguing. We have similar palatial buildings in India which have now been turned into universities, heritage hotels and Government buildings. 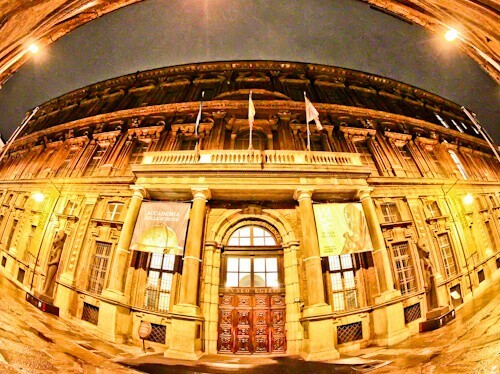 I have never even thought about visiting Turin until this post! Looks like there is a lot to do and plenty of UNESCO sites. The bus is only 5 euro between Milan and Turin?! That is wild. I’ve never taken a bus in Europe but if it’s only 5 euro and less than 2 hours I just might! Thanks for the idea. What a stunning place, your photography is excellent. I know if we visited Paul would definitely time it with a Juventus match! I love everything to do with Ancient Egypt so the Egyptian Museum is definitely somewhere I would want to explore. Turin is not talked about as much as some of the other Italian cities but it looks like there is so much to see and do! Would also love to watch a Juventus game! I had to check but yes, the Olympics were in Turin in 2006. I preferred Turin to Milan as there were not thousands of tourists! I had no Idea about a place like Turin in Italy. This is such an eye opener for me. I am amazed by the history and the magnificent Royal Palace of Turin. The Egyptian museum must have be a great experience for you. Bicerinis what luring me right now. Every piece of architecture is eye-arresting. I am definitely going to put Turin on my bucket list. We’re going to Milan in June and have been researching different day trips. Turin looks like a good bet with the abundant history sites and decadent architecture. Turin sounds perfect for people who want to explore the Italian historic scene with places and museums. I’m a history buff, so I’m sure I will enjoy visiting this city. I love chocolate coffee combination, so Bicerin would be perfect drink for me. A Juventus football match would be good too – I didn’t know they were from Turin!. 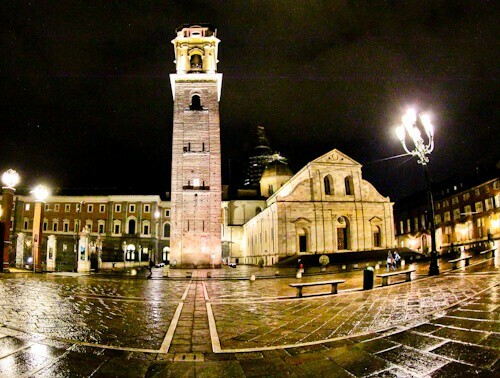 I love northern Italy and your post makes me want to return to explore Turin properly. I am a total coffee fiend and the Bicerin looks delicious. Thank you for reigniting my interest in Italy. It’s been so long! Hi Dan, I too want to visit Turin again. There is so much to see there. There are several UNESCO sites located around the city which are worthy of a visit too.